Lymph node. Coloured scanning electron micrograph (SEM) of a freeze fracture section through a lymph node, showing part of the medullary sinus. Lymph nodes are rounded bodies found throughout the lymphatic system, mostly in the neck, groin and armpit areas. They act as filters, preventing foreign objects entering the bloodstream. The Reticular cells (brown) make up a connective tissue mesh. 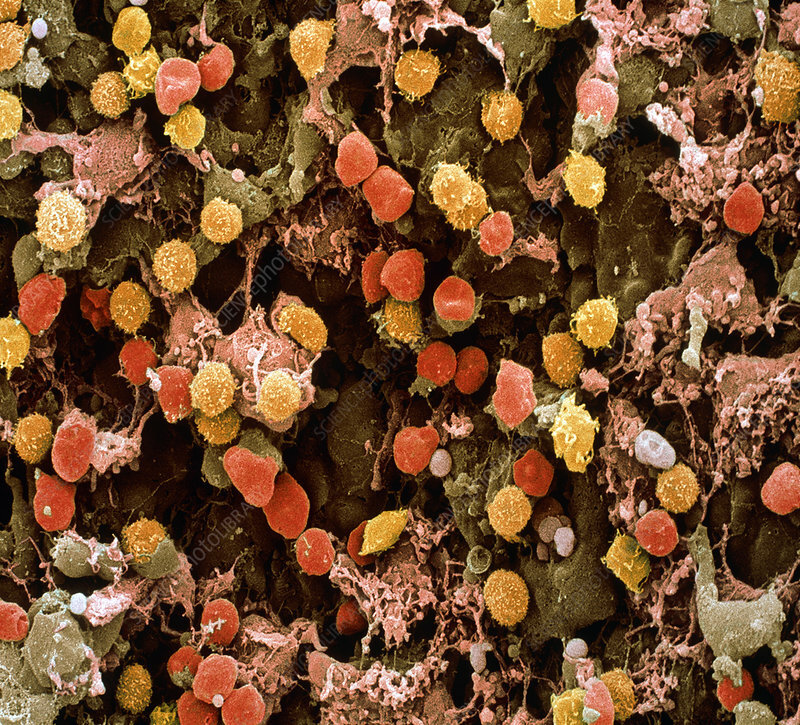 White blood cells (lymphocytes, yellow), red blood cells (red) and macrophages (pink) are also seen. Magnification: x800 at 6x7cm size.